Hadil al-Hashlamoun skipped breakfast the last morning she was alive. She rushed out of her home, past a furnishing store and clothing shop with plastic mannequins in the front window. The sun was rising, her four siblings were still sleeping. The only other person awake in the second story apartment was her mother who was already busy with housework, too engaged in her daily routine to have a final conversation. Within an hour 18-year old Hadil would be dead. That morning Hadil was fasting in preparation for a feast of a dinner her family would share for the Muslim festival of Eid al-Adha. With a deepening religious faith, six months ago, Hadil began wearing a niqab, a loose black covering that concealed her face and body but left her hands exposed. When she reached the checkpoint that divides the city of Hebron between Palestinian and Israeli control, soldiers yelled at her in Hebrew—a language she did not understand. They told her not to pass through the crossing. She obeyed, yet was struck with at least six bullets. Her small frame was left without medical attention for 45 minutes while soldiers and settlers alike photographed her body. She was then transferred to an Israeli hospital where she was pronounced dead. Hadil’s family, a witness who has since fled to his native Brazil, and the human rights group Amnesty International all insist Hadil posed no threat to the firing soldiers. Yet the Israeli military has said Hadil was carrying a weapon and it has provided photographic evidence, a claim that is disputed by the sole eye-witness who was present for the full encounter from a distance of 8 meters. Brazilian national Marcel Leme documented the killing with time-stamped images and attested that no blade was present at the scene of the crime. In his photographs, Hadil’s empty hands can be seen peeking out of her covering; there is no knife. “I would like to emphasize that the victim has never tried to attack any Israeli soldiers, she has never tried to raise a knife and she has never gotten close to any soldiers since she has crossed the Checkpoint 56 to when she was shot many times by the Israeli soldiers and fell down unconscious on the ground,” Leme wrote in a statement he called his “Testimony about the Palestinian woman’s murder in Hebron (Palestine) on the 22nd September 2015.” The record includes a reel of 23-time marked photographs. “Before, during and after the incident I have not seen any knife with the woman or around her on the ground,” Leme added. Hadil’s parents now assert that the Israeli military planted a weapon near her body more than 30 minutes after she was struck with live-fire, around the time Leme was shooed away. “She usually went to that area—in Shuhada Street [where the checkpoint is located]. It was not the first time,” said Hadil’s father Salah al-Hashlamoun, 55, a doctor and head of a hospital in Hebron. With pride. Salah said for the past two years his daughter regularly passed through the militarized crossing in the morning before dashing off to school, and back via the same checkpoint. When inside the area under Israeli patrol, Hadil would visit low-income Palestinian families, exercising a charitable ethic instilled by her parents. On the morning of her killing, Hadil had intended to give $50 (200 NIS) to the family she visited most frequently. It was a donation on the occasion of the upcoming Muslim holiday. Moments before Hadil was shot another Palestinian, Fawaz Abu Aisheh who speaks Hebrew, attempted to translate the Hebrew commands into Arabic. Abu Aisheh initially did not claim Hadil was carrying a weapon when interviewed by The Guardian. Later he told Amnesty International she had a blade. “My daughter was a victim,” her father said. “I was in the hospital working in the intensive care with a critically ill patient when one of the local media outlets—a local radio station—called me and asked me if one of my daughters is named Hadil,” Salah said, relaying how he came to learn of his daughter’s killing. Hours later an official in the Israeli government telephoned him and confirmed Hadil was shot and in an Israeli hospital. Days after Salah received another call from the Israeli surgeon who attempted to treat Hadil. The Israeli doctor gave his condolences and explained he tried to save her, but there was nothing he could do, Salah said. As a medical professional, Salah has tried to re-construct Hadil’s condition from the time she was shot to the time she arrived at the Israeli hospital nearly one hour later. From additional photographs released by the Israeli military, Salah was able to note Hadil was not given intratracheal tubing. He states this was neglect on the part of Israeli responders. By the time she arrived at the medical facility, her lungs were full of fluid. In his view his daughter was a bright young student two weeks into her first year of college. She was a poet, loved Marcel Khalifa, and had performed at events in her school and for the municipality of Hebron. Her life outside of the classroom was spent volunteering. She also assisted in an elementary school. Thank you for this report, Allison. The photographic record with its commentary, the father’s comments and finally the professionalism of your reporting really illuminate this awful crime. If someone was looking for a photo shot that represents the situation between the Palestinian people and the Israeli government it could be photo seven, a seemingly anonymous woman in religious dress silently facing an immensely complex, deadly weapon pointed at her heart. What could she have been thinking? What was happening in the mind of that soldier? This is an outstanding article, Allison. The mainstream media, in the US and elsewhere, should be deeply ashamed that it is suppressing this story, and the photographs that go along with it. Brazilian Marcel Leme was smart to get out of Israel and then release the photos. What would a 100lb woman do with a small knife against a group of IDF soldiers with a rifle pointed at her head? And people in the US pay more attention to a lion being killed this summer than this woman being slaughtered by our great ally Israel. The cover up indicates that Israel can’t endure another blatant killing, and only a few months ago Mike Huckbee is there fundraising for his US political campaign. And what’s worse is that people in the US still think that Bernie Sanders is the best choice for president, when he can’t even say what his position is on Israel Palestine. We’re decades away from progress on Israel and their cesspool stench of occupation. I’d say get used to it, for it’s only getting worse. Isn’t this a simple issue to solve? There are pictures of the lady, but are there any pictures of her holding the weapon? If she was not brandishing it at the soldiers, how would they know that she had a knife? Are they saying that she just stood there and brandished it at them, even though it’s not in the photos, and that’s all she did, and then they took her out while she was just standing there? It sounds strange. Silence on this thread from Hasbara Central. The photo of the knife next to the bucket is a pose. The knife, in situ, is seen below @00:15. And of course, Fawaz Abu Aisheh, the eyewitness who appears in the pictures of the shooting, told B’Tselem and Amnesty International, that the victim had been holding a knife in her hand. Fawaz changed his story because he was afraid for his life. The problem for Israel is that even in the ‘most terrorist scenario’ where she had a concealed knife, the killing would still be totally unjustified. The soldier was in no danger and disabled her with shots to the legs; even if she had planned an attack, that would have been as much as any authorities could justify. And now that seems increasingly unlikely too – especially considered alongside the record, with things like the Nakba Day killings. With the benefit of hindsight, the killing does not appear justified. At the time of the killing, however, the soldiers had no idea whether or not she had a pistol or explosive device under her burqa. And by the way the murder trial of the three who burned Mohammed Abu Khdeir seems to be on permanent recess. Anyone know why? The fact that she did not shoot them or detonate an explosive device when she was standing right next to them should have been the first clue that she had neither a pistol nor an explosive device. The fact that she did not shoot them or detonate an explosive device when they shot her should have been the second clue. The fact that she did not shoot them or detonate an explosive device as she stepped away from them should have been the third clue. The fact that she did not shoot them or detonate an explosive device once she was on the other side of the barrier from them should have been the fourth clue. So what did the occupation-forces soldiers do with all these clues? They shot her again. Then they shot her some more. And then they left her to die. A woman carrying a knife under her burqa, and not following directive’s from the soldiers, is in serious trouble, in any country. What country are you from Stanley? Hadeel was not wearing a burqa. She was wearing a niqab. 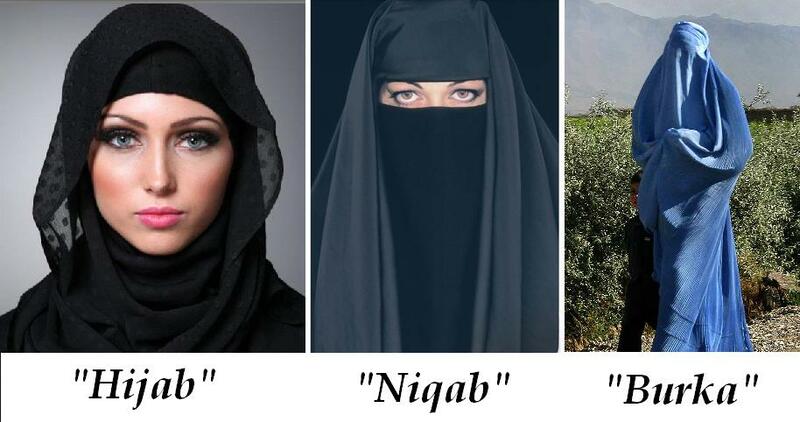 Are the Jewish invaders now going to shoot every woman that wears a niqab? When I was one of those vile IDF soldiers, it was not infrequent that we would encounter a Palestinian woman that wore a niqab. Precisely because he couldn’t know if she might be carrying an explosive device it’s hard to believe the soldier would open fire. I mean, before moving back at a good safe distance. And his buddies, rushing to join him and pumping a few more bullets in her for good measure. Is that how they train them in the IDF? That is certainly how they train them in the Zionist Murderer Gang. Civilian, shmivilian, do not even leave a shadow of a whiff of a doubt –just kill to make sure you never face any danger. The more the better, that’ll larn the uppity bastards. That’s exactly the training US cops have been getting in the last 15 years under the guidance and sometimes direct supervision of the Zionist entity –accelerating in the last five. You can see the results. I’m not saying that the killing was justified. I’m saying that it’s not totally unreasonable that a soldier might suspect that she was armed and dangerous. Keep in mind the presence of the knife and the fact that warning shots were fired to no avail. My best guess is that a soldier who arrived on the scene late, panicked, and fired the fatal shot. The police in many civilized, Western countries have, and continue to do, the same, if not worse. What country to you come from? And that is why it is allright for Israel to have illegal checkpoints in illegally occupied areas, and shoot young women down at these checkpoints? Don’t quite see the connection. It is, however, a wise move to exempt Israel from the list of “civilized, Western countries”, as you do, that gets you out of a lot of stuff. Yeah, we get it “Jackdaw”, it’s the lawless Wild-West frontier there. Oh, BTW, does Israel publish guidelines for behavior and actions at checkpoints? So everybody can get with the program, and the world can see that Israel is adhering (even in that uncivilized, Eastern country) to civilized norms for illegal checkpoints in illegally occupied territory? “What country to you come from?” ROTFLMSJA-ZAO! And what country, exactly, are you occupying at the moment, “Jackdaw”? You had a hard time with this question before, didn’t you? Lots of men beat their wives, so it’s OK for Zio-supremacist Joe (somewhere, yonah scoffs) to beat his. I’ll never understand this “let’s strive to be just a little bit better than the worst” mentality. I live in Saviyon, Israel. Again, Mooser, what town do you live in? No, and it’s not okay for a soldier or policeman to panic and use lethal force, but it happens all the time. Here’s an interesting story about a Cleveland police officer who executed two unarmed occupants of car, and was found not guilty by a Judge. You are comparing bagels to bialys again. There’s no comparison between US policing, no matter how bad, and illegal soldiers at an illegal checkpoint in illegally occupied territory. Yeah. I’m comparing young, armed men thrown into dangerous situations, who have to make split second decisions that you, in your closeted existence, never had to make. Now. Captain Courageous, how about telling us what town you live in? You asked me, and I answered. I agree. And I think it’s shameful that, far too often, the soldiers or officers are not held accountable for their actions. A travesty of justice, IMO. And I don’t see how it changes anything regarding the murder of Ms. al-Hashlamoun. Jackdaw should be told by a charitable soul that, since he went to sleep about 1944, the world has changed. His “young, armed men”, of whom many happen to be women, have no right to be there at all, even if they or their parent had not been illegally imported, let alone of being “thrown into dangerous situations”; also they have no right to make any “split second decisions” because, while the occupied population has the right to resist by all means it judges appropriate, these young fanatical shits have no right at all to defend themselves. Can’t you get someone you trust –even a Zionist!– read the law to you, Jack…daw. The only problem with your position is that the eyewitness you rely on as evidence she had IA knife also states that she fell to the ground after she was shot in the leg the first time and did not move. Shots to the leg and torso occurred while she lay there not moving. Yup, I got that part. And yet immediately after you say it wasn’t justified, you do your best to try to justify it. I agree. So he shot her and she didn’t stab him, shoot him or blow anything up. At that point, it’s not totally unreasonable that a soldier might start to suspect that she was not armed and dangerous. Yup, to no avail. No matter how much they yelled at her or shot at her, the soldiers were simply unable to get the woman to stab them or to shoot them or to blow them up. || … The police in many civilized, Western countries have, and continue to do, the same, if not worse. Aside from the fact that it wasn’t Israeli police who did the killing, and aside from the fact that the killing took place in occupied territory outside of Israel’s / Partition borders, none of those civilized, Western countries is a “moral beacon” with the “most moral army in the world”. One that does not have trigger-happy occupation soldiers manning armed checkpoints. Were those the ones to her legs? I wonder who wants to believe the knife story, besides the acolytes of the perpetrators and the supporters of the crime. The “evidence” was planted and poorly planted, long after the killing, after people had started to gather at the scene and the murderers couldn’t stick the knife to her hand, or even near her body. As another reader remarked in an older post, probably, one of the checkpoint soldiers was left without his lunch knife that day, unless one of the settlers lent a hand and brought his own from home. Amnesty and B’Tselem believe it, or they wouldn’t have published it. True. Nor did he claim that Hadil wasn’t carrying a weapon. Because the knife in the picture looks nothing like the one described by Abu Aisheh, one must hypothesize someone told him what to say and he messed up. No testimony by any of the occupied people favoring the occupier in any point is credible as long the occupation continues. The Brazilian witness who beat it to Brazil right away so as not to risk retribution may be a credible victim; an occupied Palestinian whose livelihood and the very life oh his family depends on the fancy of the most brutal occupation since WWII cannot be relied upon.